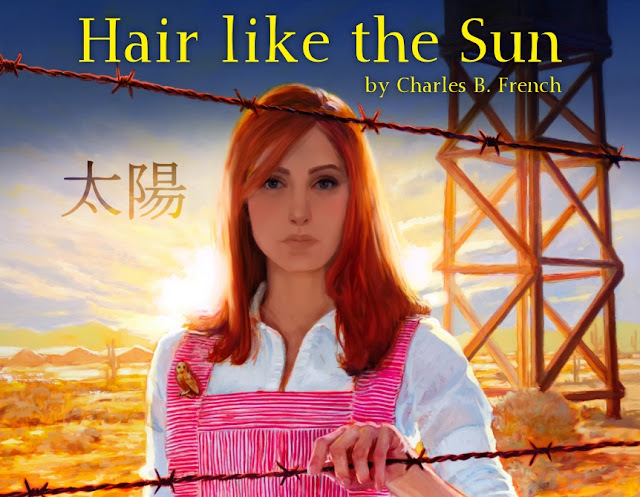 Hair like the Sun tells the amazing true story of Ruth Mix, a white, teenage girl who volunteered in the Gila River internment camp during WWII. While most of the country hated and feared the Japanese, including Japanese American Citizens, Ruth and her mother rejected bigotry and fear. They chose, instead, to go into the camp, to aid the people unjustly imprisoned there. They risked everything in a time when all Japanese were considered the enemy. This play is more than just a story of a teenage girl, it's about our country today. Recent events have made this dark chapter in America's history more relevant than ever. We are, sadly, seeing the same fearful attitudes that led to the camps run rampant today, leading to mistrust, fear, and hatred. Politicians are using this fear to divide Americans in a time when we need to be more united than ever. I count myself privileged to be able to tell Ruth's story. While she is no longer with us, I want her spirit, tenacity, and desire for justice to live on. I want new generations to know her story, and in so doing learn about the camps. Already I have seen young people react to this play and want to know more about what happened back then. This is a story for all ages, all generations, and I know Ruth would be proud. As this play began its last leg in the journey from page to its first staged production at the Texas Repertory Theater, I wanted to chronicle my thoughts and feelings about it. These author diaries will hopefully give more insight into the play, my writing, and anything else I can think of. I hope you enjoy reading them. part 5 - Why Ruth?